The European motorcycle industry has called on the European Parliament and Member States to reject an Amending Directive to the 3rd European Driving Licence Directive. ACEM also say that this would have the effect of setting, “arbitrary provisions for test vehicles with heavy impact on EU riding schools and access to motorcycles. Right To Ride’s Trevor Baird has just returned from a stakeholders meeting concerning the introduction of the 3rd European Driving Licence Directive in Northern Ireland. This issue was discussed, as he had made the group aware of the amendment earlier, Right To Ride supports the ACEM initiative and calls on member states and European Parliament to reject the amendment. 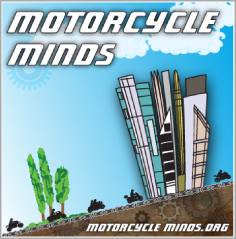 ACEM, the Motorcycle Industry in Europe, calls on the European Parliament and Member States to reject the Directive on driving licences due to lack of consultation of stakeholders and potential negative consequences on riding schools operations and licensing costs, raising the barriers to the access of motorcycles and scooters. The provision, tabled by the European Commission under the comitology procedure less than three months before it enters into force requires motorcycle training schools and test centres to purchase an additional vehicle fulfilling the new A2 test vehicle requirements in order to be able to offer the test to A2 motorcycle licence applicants. The consequent EU-wide increase of test vehicles fleet is not economically justified due to the low demand for motorcycle licences in certain areas of the European Union. ACEM points out further that raising the minimum power for test motorcycles of category A from 40 kW to 50 kW will lead to an increase in costs for training and licensing and is unjustified. 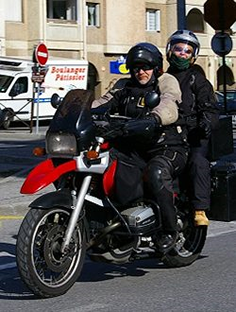 By referring to gender differences as regards motorcycle minimum weight, the European Commission furthermore risks being criticized for discriminating women and citizens of small stature, who should be free to take their test on an appropriately sized vehicle. By excluding industry and stakeholders from any kind of consultation the European Commission, incomprehensibly ignored the fact that these provisions will lead to an increase in costs for training and license acquisition, unfairly raising the barriers to motorcycle use. Member States will be asked to express themselves on these provisions at next COREPER’s meeting on Wednesday, October 17th. As no amendments can be proposed in the Comitology procedure at this late stage, ACEM calls on MEPs and Member States to reject the directive as a whole, allowing for stakeholders’ positions to be duly taken into account, and a compromise solution to be found. The imminent entry into force of the Third Driving Licence Directive [2006/126/EC] (19.1.2013), which redesigns the access framework to L-category vehicles (mopeds, motorcycles, scooters, tricycles and quadricycles), creates three motorcycle licence categories (A1, A2 and A), calling for coherent minimum requirements for test vehicles. The proposal laid out by the European Commission under the comitology procedure aims at modifying the minimum requirements for driving tests vehicles covered by the Directive on driving licences. To drive a three wheeled car will now require a new driver to pass all three of the motorcycle tests. If the new driver does not wish to ride a motorcycle, then he or she may not drive a vintage Morgan, BSA trike, veteran de Dion tricycle in the Brighton Run, modern Grinnal, new Morgan three wheeler, the Trotters’ Reliant van, any future three wheeled city car or hybrid vehicle. This inept and arbitrary change in licencing group has come as a surprise to groups affected since even Morgan and Grinnal who make them were not part of the consultation. So far, I have been unable to find out the reason, if any, for the change. I am still waiting for replies from DfT and Europa. They claim, in the preamble to the Directive, that their concern was safety; after three to five years of riding, training, three tests and considerable expense, the proud new holder of a full A licence may drive a three wheeled car without having had a single lesson in car driving. Even the ACU regard them as cars and require a car licence to race them. I find it absurd that people will be asked to do the same test on 3 different cc motorcycles. There is no way a car driver would be asked to do their driving test 3 times in a 1000cc car, a 1600cc car and a 2000cc car yet that is exactly what is being proposed here. If they want to limit the power of a bike for certain age groups then fine, but they should in no way be making people take the exact same test 3 times on different cc engine bikes. The EU has lost the plot on this issue, like so many others.